Christchurch-based writer James Norcliffe is to be the 2018 Creative New Zealand Randell Cottage Writing Fellow. Norcliffe has published nine collections of poetry, a short story collection and ten novels for young people. As an editor, he has had a long involvement with the literary magazine, takahē and has edited anthologies of poetry and young people’s writing. 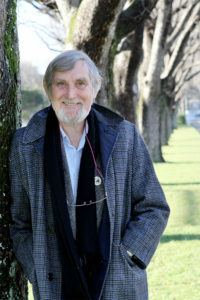 He’s also served as an assessor for literary competitions and the New Zealand Society of Authors, and has received numerous awards and fellowships. 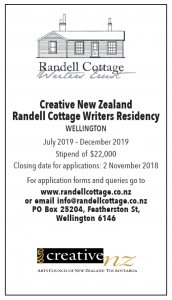 Norcliffe’s Randell Cottage project is a novel with the working title The Frog Prince, a dual narrative with one strand set in early 19th century Westphalia, the other a contemporary narrative set variously in New Zealand and Europe. Selection panel convener Stephen Stratford says “James Norcliffe is a much-admired poet, YA author and short-story writer. For his first adult novel, he plans a high-concept retelling of the Frog Prince fairytale we all know from the Brothers Grimm version, this time in two timelines and settings. This is the value of a residential fellowship like the Randell Cottage, to enable an author to have the luxury of ‘sailing in a new direction’. “We look forward to welcoming James to the cottage,” Stratford said. B-category historic building, gifted to the Trust by the Price family, hosts two writers a year; one from New Zealand and the other from France. It is currently home to Stephen Daisley.